Will token budget reductions satisfy Scarborough voters? | Look Out Scarborough! Will token budget reductions satisfy Scarborough voters? Well, Scarborough voters made their position quite clear at the June 13 school budget referendum. They weren’t at all happy with the 7.4% increase in taxes for the school. The vote tally was NO: 2,408 versus YES: 1,822. Voter turnout was a robust 25%, compared to many area towns’ turnouts in the single digits. It didn’t take town leaders long to come up with a proposal for the second budget referendum. Within a couple of days, the outline for Round Two was out there. Town officials will point out, as they frequently do, that this is “just a starting point.” The final amount of the Round Two referendum won’t be known until the Town Council approval on July 5. Then we will be voting on Round Two on Tuesday, July 25. Unspecified reductions of $236,000 to the school budget. Unspecified reductions of $71,000 to the municipal budget. Allocation of 100% of any excess State education aid received to future school use, as opposed to an immediate reduction in the tax rate. Even though it was the school budget that was voted down, reductions are being made in the municipal budget as well as the school budget. This is in line with the “One Town, One Budget” slogan that the Town Council and School Board are peddling. It’s a sort of “share the pain” approach — the real purpose of which is to provide a smokescreen for what’s going on with the school budget. Bottom line for “One Town, One Budget”: as long as the overall tax rate is “acceptable,” the school budget can be whatever they want it to be — never mind declining enrollment, never mind declining State education aid, never mind financial realities. Perhaps this management by cute slogan has gone too far. 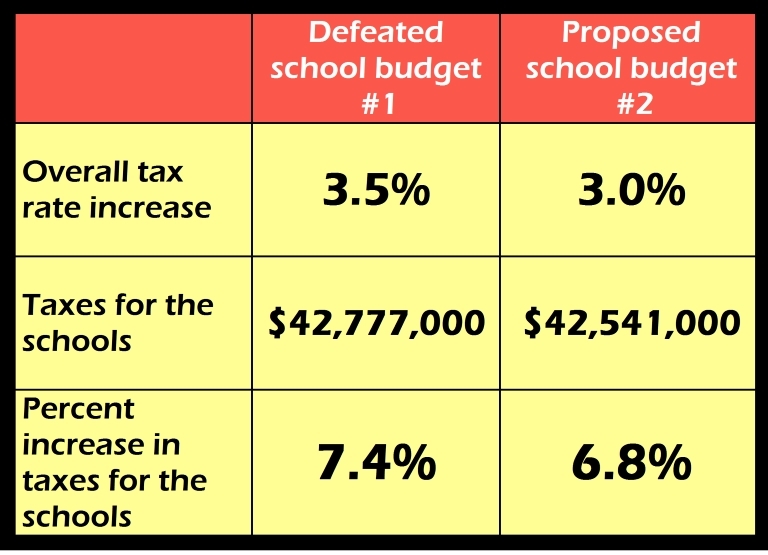 On the first referendum, any excess education aid funds received from the State after the referendum were going to be split 50-50 between future school use and immediate taxpayer relief through a reduced tax rate. With the second referendum, town leaders decided that any and all excess State aid funds will be committed to future school costs. Not even a scrap for the taxpayers. The proposed overall tax rate increase of 3% includes a 6.8% increase in taxes for the schools. 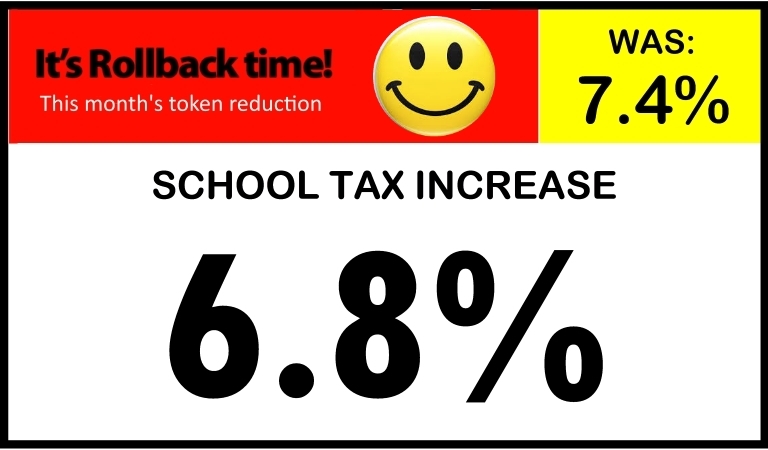 If the school tax increase were, say, 5%, we estimate the overall tax rate increase would be about 1.5% instead of 3.0%. Food for thought. 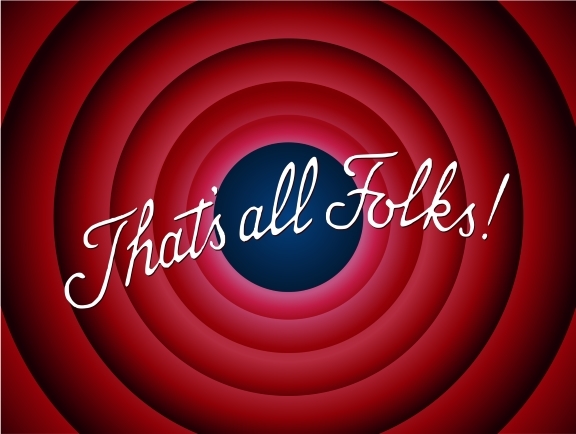 The Town Council meeting on June 21 seemed like it would never end. Nearly three-and-a-half hours of motions and emotions. But we would be remiss if we didn’t draw your attention to the last 20 minutes or so of it. This was the “Councilors’ Comments” section of the meeting, where members took turns giving their impressions of why the school budget was defeated and what lessons could be learned. There was a wide range of reactions from thoughtfulness, pragmatism and openness to arrogance, deafness, denial and petulance. Among our favorite statements was Councilor Caiazzo’s that the Council had done “everything we thought was right” in the budget process. And still, we note, it was voted down. Geez, Scarborough voters, what’s your problem? Councilor Caiazzo also noted “that 7.4% was not on the radar screen.” Wait… 7.4% was the increase in taxes to be raised for the schools. The amount that was going to come out of taxpayers’ pockets. And it wasn’t on the radar screen? 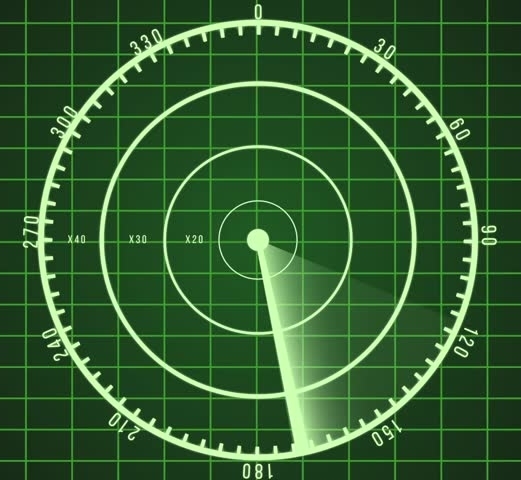 Time for a new radar screen! Here we are again. In that familiar place where there is a great division over the amount of the school budget. Year after year we lurch from one problematic budget to another. And we continue the search for the magic number that will make at least 51% of the town’s voters happy. Perhaps this would be a good year to try something different. Perhaps we could take a longer view than just the budget we’re voting on in 4 weeks. Perhaps we could do something known in the real world as “financial planning.” You know, do some projections out 3 or 4 years, look at underlying trends, perhaps even consider making some changes in how we do things. Perhaps explore new sources of revenue or technology that could actually save us money rather than cost us more. 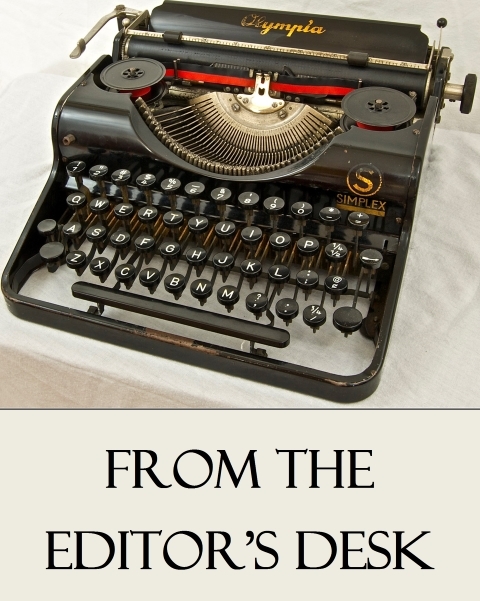 The editor would also like to remind readers: All contents of this blog, including all opinions expressed, are solely those of the editor. No other individual or group has any responsibility for the blog’s content. 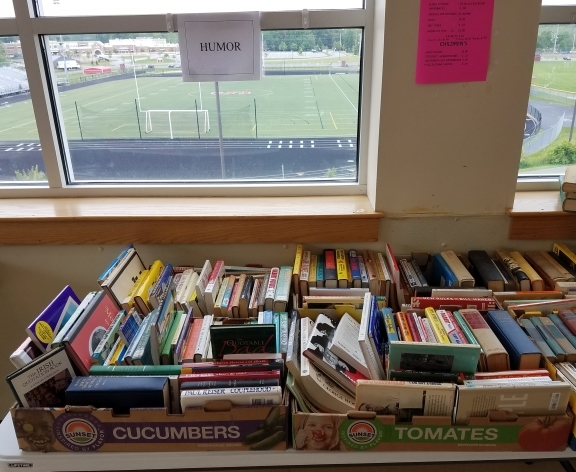 The Library’s annual book sale at the High School. 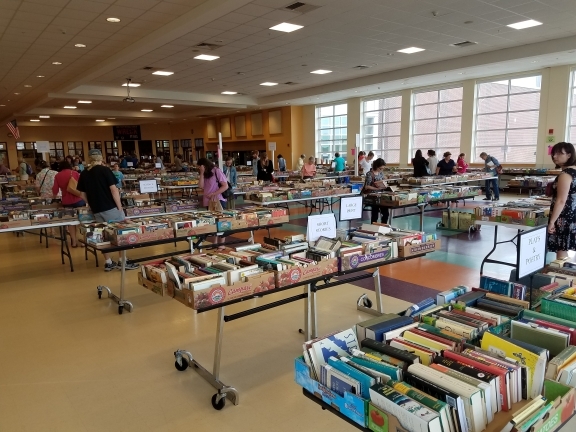 Last weekend we attended the Library’s annual book sale at the High School. What a great event for a great community resource! Thousands of books, all for a couple bucks or less each. But we did make one curious observation… There were – as you can see in the above picture – literally thousands of books in hundreds of boxes covering all imaginable categories – fiction, reference, hobbies, you name it. But there, at the back wall, was the “humor” category — consisting in total of four measly boxes. The humor section in its entirety. Which reminds us… did you hear the one about the three Town Councilors who walked into a bar? Remember, July 5 is the all-important “second reading” of the budgets (school and municipal). This is where the school budget we will be voting on will be finalized, probably amid a flurry of amendments. In the past the amendment process has proved baffling to the casual observer. Anything can — and often does — happen. We’ll keep you posted and let you know just what you’ll be voting on on July 25. Have a festive and safe Fourth of July! This entry was posted in Uncategorized on June 30, 2017 by Site Author. citizens of Scarborough voted for.